Smoothies have been a big part of my childhood. At home, we'd usually blend up some fruits and make an apple-banana smoothie, a mango smoothie, or an icy melon smoothie. And although my parents weren't that strict about me having some coffee when I was young, getting myself a cup of ice blended coffee outside our school was like a special treat I give myself once in a while -- when I aced a test, felt great about a presentation I gave, or just when the weather calls for it. Fast forward to many, many years later, I'd say I'm still one who enjoys smoothies. Unfortunately though, I don't make it as often as I did when I was younger. But earlier this year, I found out the joys of using a blender again. I even got introduced to protein shakes, so I'm actually hearing the ice blending sounds of my Oster pretty often these days. But apart from getting a dose of my protein intake blended, another thing I enjoy drinking is my breakfast. So today, I'd like to share with you one of my favorite smoothies to have for breakfast. And by breakfast, I also mean our much-needed dose of caffeine to kick-start the day. Of course, you can use whatever coffee product you prefer, whether freshly-brewed, espresso, or instant. But for this recipe, I'm using Jimm's Cafe Clara instant coffee since it's easier and faster, perfect for people on the go. Cafe Clara also has this berry-ish undertone which makes the coffee taste more interesting. This recipe only calls to combine all ingredients in a blender and blend away until smoothly-blended. I prefer my smoothie with just natural sugars from the banana. But if you like to add some sweetness, you can use your choice of sweetener. 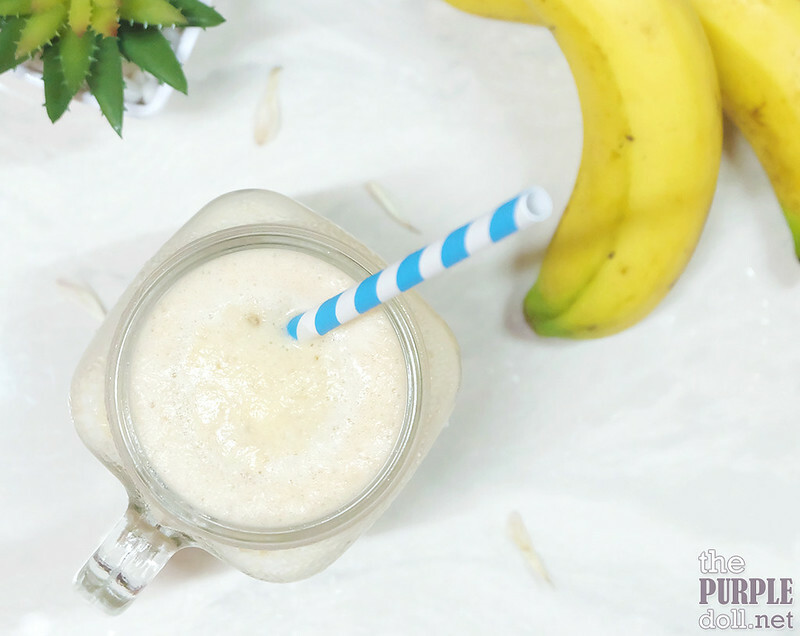 While this banana coffee smoothie is already good with just the basic ingredients, you can add chia seeds, hemp seeds or protein powder to boost the added nutrients and benefits of the smoothie. If the consistency of the smoothie is too thick, you may add in some water (or more milk, if you prefer) to thin out the consistency a bit. Serve in a glass or a container to-go, and enjoy! 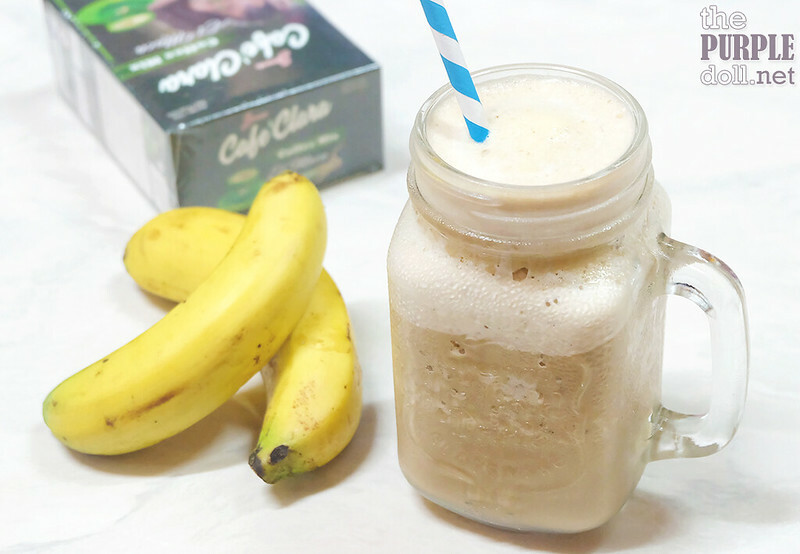 This banana coffee smoothie is super easy and super fast to make! And not to mention, really good too! It's also highly customizable depending on your preference -- from the milk you like, sweetener you want to use, even up to the additional ingredients you want to put in to jazz it up. You can even veer away from the banana entirely, and experiment with other fruits to make your fruity-coffee smoothie. However, I can say that using banana has been my favorite so far! 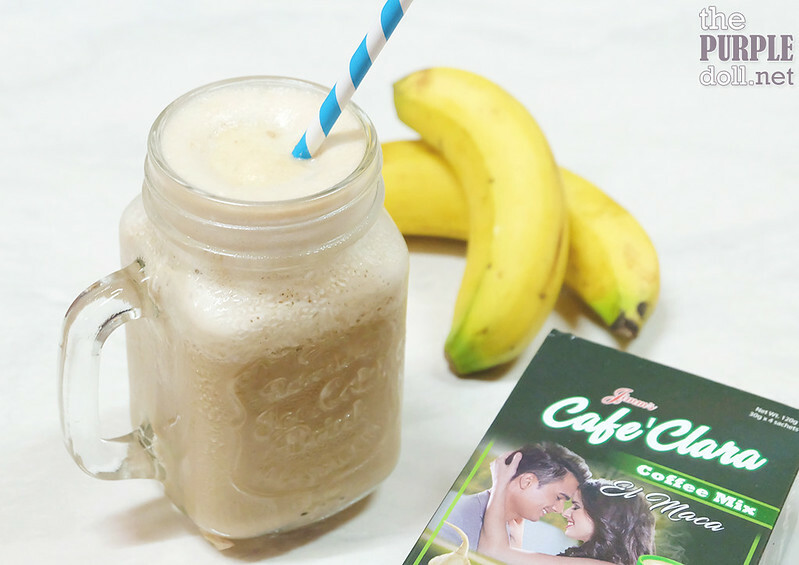 And while I love making this for myself, you can also make this for your partner as using Jimm's Cafe Clara for this smoothie is perfect. Cafe Clara has Maca Extract which helps drive cellular functions in the body including sexual arousal. Other benefits of Maca Extract also include improving energy and athletic performance, memory, and even aiding in boosting the immune system. Now this is what I call a great start to a day!